I am typing this with one arm. Nora is lying on the other one, asleep, and Sally is napping in the other room. This may seem like a less-than-ideal typing scenario, but it is (much more importantly, I've learned) an excellent thinking scenario, and therefore the typing WILL be managed. Being a working mother of one child, I've decided, is often chaotic and sometimes unmanageable. Being a working mother of two children is decidedly more chaotic, usually unmanageable, and yet somehow twice as important for my sanity. So! Kale. If you live under this roof, it is no secret how I feel about kale. Specifically, krispy kale, which I make at least once a week, if not twice, often as a quick lunch or last minute dinner. I usually make a double batch, which means we buy a minimum of two bunches of dinosaur kale most weeks, and often three or four, because there are so many other good things to do with kale, too, things that Sally and I agree don't hold a candle to krispy kale, but things that are in their own right excellent and that my poor, krispy-kale-fatigued husband is thrilled to behold. Things like Portuguese kale soup. Sautéed kale with garlic. Kale with eggs and spicy mayo and toast. Which is why I'd like to tell you about Cathy Walthers' new book. It's called Kale, Glorious Kale, and she wrote it for people who, like me, are in a kale rut. 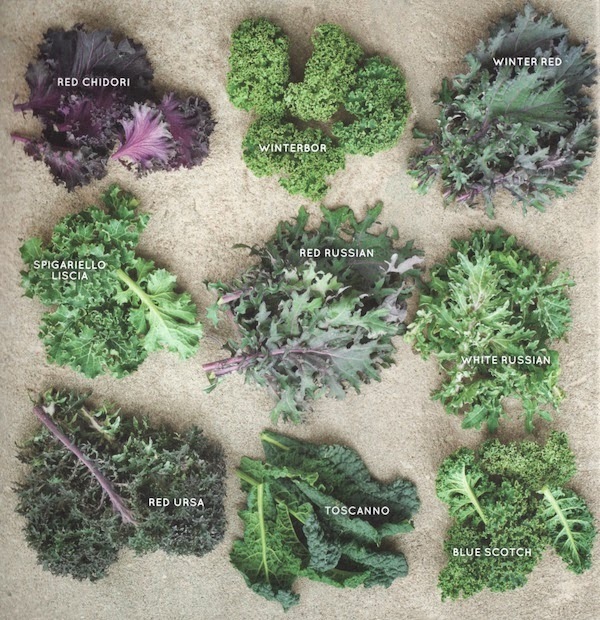 Apparently there are over 50 different varieties of kale, and many more ways than that to cook with them. Cathy—who lives in West Tisbury on the Vineyard—makes the case for kale as a superfood—it was ranked 1,000 on a scale of 1-1,000 by the ANDI Guide, and also the healthiest veggie out of 83 vegetables by the Center for Science in the Public Interest—so it packs a punch. But it's also just delicious, and good in every meal of the day. There are some eyebrow raisers—brunch and Kale Marys, anyone?—but also a lot of twists on tried and true favorites, like coconut kale smoothies, kale Caesar salad, and kale-kopita. The recipe that looked the most intriguing to me was Cathy's kale granola, which is a genius way to get krispy kale (or really just a sweet basic kale chip) into your breakfast! Aha! Cathy agreed to let me share that recipe here. Oh! And before I go and save what is left of my arm, I also want to mention that there are still farmers markets going on. The West Tisbury market runs through December, the Falmouth market has its last hurrah on Saturday, the Sandwich Winter Farmers' Market will be held twice a month through March, and the brand new (!) Orleans Winter Farmers' Market, of which—full disclosure!—I am on the board, opens this Saturday, December 6th at 9am. I expect there will be hot chai, local eggs and meats and veggies, and most importantly, kale. I'll see you there. CW: "The combination of kale, oats and nuts is crunchy and satisfying. Everyone likes to much on this as a snack—it doesn't even seem to last until breakfast to top yogurt, mix with fruit or serve with milk. It's easy to vary the nuts and the dried fruit with your favorites. 2. Make sure the kale is well dried. Place the kale in a bowl with 1 tablespoon of the coconut oil and 1/4 teaspoon of the salt. Knead or massage with your hands until the coconut oil is rubbed on all the leaves. Set aside. 3. In a small bowl, whisk together the remaining 5 tablespoons of coconut oil, and the brown sugar, maple syrup and remaining 1/2 teaspoon of salt. In another bowl, combine the oats, nuts and seeds. 4. Take 2 tablespoons of the wet ingredients and combine with the kale. Rub it over the leaves. Pour the rest over the oat mixture and mix very well until incorporated and the oats are completely covered. 5. Line two 12 x 17-inch baking sheets with parchment paper or a silicone mat. Place the oats on one sheet, spreading them out evenly, and the kale on the other sheet. (The kale seems to crisp up better separately, but you can mix the kale and oats together and it will work.) Bake all for 25 to 30 minutes, mixing two or three times to prevent the outer edges from burning, and also rotating the pans. I sometimes switch the oven setting to convection bake if the mixture doesn't seem to be crisping up. Remove the kale when it is crispy, but not browned. Remove the oats when they are crispy or nearly crispy and before the nuts are burned. Both will get crispier once they sit on the counter to cool. 6. When cooled, combine the kale with the oats. Pack into mason jars for storage. Cook's Note: I've switched to coconut oil instead of canola oil for making granola (though, substitute canola or another vegetable oil if that is what you have). I love the subtle flavor coconut adds, and nutritionists are recommending its healthier properties. In warmer weather, coconut oil looks like an oil, in cooler weather it tends to solidify. For this recipe, if it has solidified, I usually put the jar in a saucepan of hot water until it becomes liquid again. Also, if you mix it with cold maple syrup it tends to solidify again, which makes it hard to coat the oats and kale, so I usually just have the syrup at room temperature or heat it up very slightly before mixing the liquid ingredients."